We have integrated with GIPHY to bring your favorite animated Gifs to your signs. You have the option to search through a large animated gif library as well as GIPHY's animated sticker library. Find out more about how to add GIPHY images to your signs in our Image help section. Our Google Slides integration is now live, along with our existing integrations with Google Sheets and Google Maps. 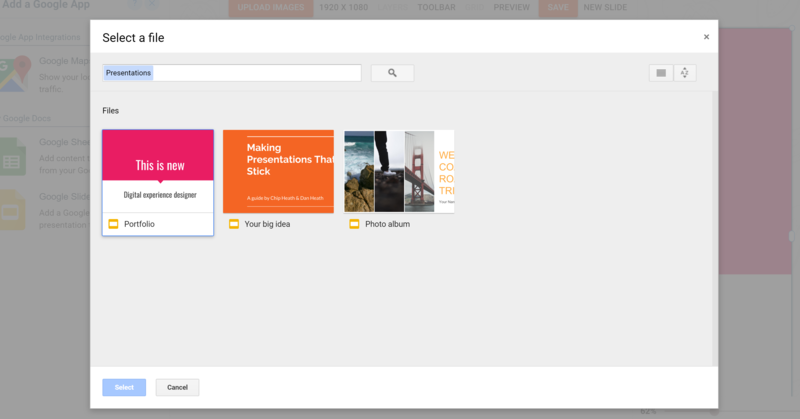 This means you can easily insert Google Slides onto your slides and signs right through the slide editor without having to manually insert embed code. Simply click the Google Slides app in the MangoSigns Editor and browse through your Google Slides to add them to your slides. Any updates you make to your Google Slides will automatically show up on your signs without having to update anything within MangoSigns. By popular demand, we have included the ability to allow a schedule to override all other schedules playing at that time. To create an override schedule, simply enable the Override Schedule option while creating or editing your schedule. Once you do this, the override schedule will be the only thing that shows during the time frame specified. You can identify override schedules in your schedule list by the red tag indicating they are an override schedule. We have also added new Menu item formats to enable you to create and edit menus easily while keeping a consistent format. 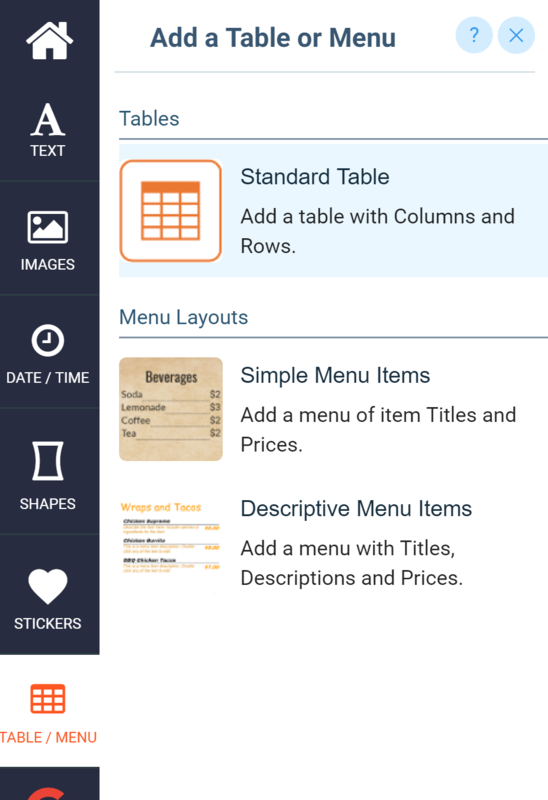 You can find the new menu item formats under the Table / Menu app in the MangoSigns editor. Pick between Simple and Descriptive menu types, style them any way you would like from there. To edit items, simply double click on the title, description or text and change settings in the settings panel. Find out more about the app here. You can now edit a slide from any of the schedule or sign screens in your MangoSigns dashboard. Simply right click on the slide you would like to edit and click 'Edit Slide', which will edit the slide in the editor. We have also added a new "Currently Playing" view under your sign in the MangoSigns dashboard. You can now click on a sign to see what schedules are currently scheduled to be playing without having to preview the schedule or go out to your sign. As with most of our features, we rely on and listen to user feedback, so if you have any feature suggestions, please let us know!